What Exact­ly is a Birth Cer­tifi­cate? Claim: A COLB is dif­fer­ent from a Birth Cer­tifi­cate. A Birth Cer­tifi­cate isn’t a birth cer­ti­fi­ca­tion isn’t a cer­tifi­cate of birth. Many peo­ple have a fun­da­men­tal mis­un­der­stand­ing of what the birth doc­u­ments are. A Birth Cer­tifi­cate birth cer­tifi­cate is a doc­u­ment pro­duced by a gov­ern­ment that cer­ti­fies that the facts list­ed on it are cor­rect. 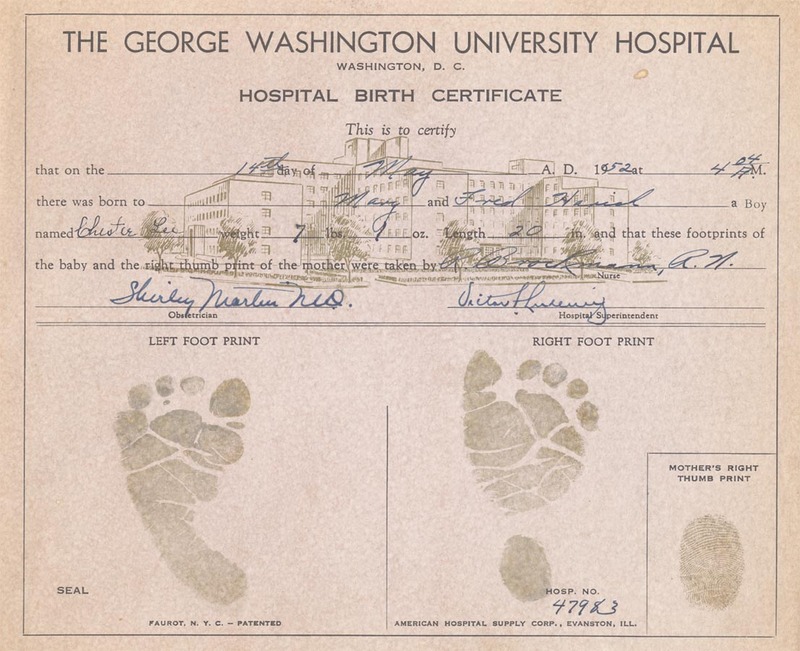 An orig­i­nal birth cer­tifi­cate (or orig­i­nal birth record) is the actu­al doc­u­ment that is kept on file in a state or coun­ty reg­istry of vital records. The orig­i­nal birth cer­tifi­cate nev­er leaves that archive. Any “birth cer­tifi­cate” that any­one has is actu­al­ly a copy of their orig­i­nal birth cer­tifi­cate. If it has a raised, mul­ti-col­ored, or holo­graph­ic seal and the sig­na­ture of a reg­istry offi­cial, it is a cer­ti­fied copy with the same legal val­ue as the orig­i­nal. In most states, the most com­mon by far actu­al proof of birth doc­u­ment is a form called a Cer­tifi­cate (or Cer­ti­fi­ca­tion) of Live Birth. The alter­na­tive doc­u­ment is a Cer­tifi­cate of Still Birth. Almost all births have one or the oth­er. They are both Birth Cer­tifi­cates. Most states (includ­ing Hawaii) also have a Cer­tifi­cate of For­eign Birth for for­eign adopt­ed chil­dren. Hawaii cur­rent­ly also has a Delayed Cer­tifi­cate of Live Birth and once had a Cer­tifi­cate of Hawai­ian Birth. These spe­cial cas­es will be dis­cussed below. All states base their proof of birth doc­u­men­ta­tion on the U.S. STANDARD CERTIFICATE OF LIVE BIRTH designed and issued by the Cen­ters for Dis­ease Con­trol and Pro­tec­tion, part of the US Depart­ment of Health and Human Ser­vices. The CDC col­lects and issues data on all births in the US through the Nation­al Vital Sta­tis­tics Sys­tems, which has been in exis­tence since 1909. Notice that the stan­dard form is “Cer­tifi­cate of Live Birth,” whether it is a very long doc­u­ment or an abstract. Much of what appears on the orig­i­nal birth record isn’t on any doc­u­ment released to the pub­lic. This is the so-called vault copy, or long-form. When a child is born, the hos­pi­tal fills out a stan­dard form and sends it to the state or coun­ty. (The hos­pi­tal doesn’t keep birth records in a cen­tral place, gov­ern­ments do.) At the same time, they issue sou­venir copy to the par­ents with foot­prints, etc: that one isn’t a legal doc­u­ment. The State enters the infor­ma­tion into their records sys­tem. When some­one requests a cer­ti­fied birth cer­tifi­cate, a clerk goes to the records sys­tem, pro­duces a copy, then stamps and seals the copy with a raised seal, and sends it to the requester. The actu­al process and the doc­u­ment pro­duced has changed over the years as tech­nol­o­gy has reached Vital Records Depart­ments. Pre-mid 1970s in Hawaii, gen­er­at­ing a cer­ti­fied copy of a birth cer­tifi­cate meant going to the paper files, pho­to­copy­ing the actu­al paper doc­u­ment, stamp­ing, seal­ing, and send­ing. These, the famous Nordyke Twins Birth Cer­tifi­cates, were issued in 1966 for 1961 births. Notice they sayC­er­tifi­cate of Live Birth at the top. Here’s anoth­er. Here’s a blank ver­sion. In the mid 1970’s in Hawaii, this changed to the clerk going to the file, typ­ing SOME of the info onto a form, then stamp­ing, seal­ing, and send­ing. There was no sig­na­ture, no hos­pi­tal, much less info, but still enough infor­ma­tion to estab­lish who, what, where, and when of the birth. This was also a Cer­tifi­cate of Live Birth. Here’s one exam­ple. In the ear­ly 2000’s, this changed to a com­put­er­ized sys­tem. The data on the orig­i­nal paper doc­u­ments was entered into the elec­tron­ic sys­tem and the papers were archived in long-term stor­age. After 2001, a clerk would go to the elec­tron­ic sys­tem, check that the data was cor­rect, pro­duce a com­put­er-print­ed form with the same info as the 1970’s form, then stamp, seal, and send. THIS IS THE ONLY doc­u­ment that Hawaii now issues as their proof of birth in Hawaii. When you send in your $10, this is what you get. You can no longer get a cer­ti­fied copy of the orig­i­nal. It has the same legal val­ue as the orig­i­nal or cer­ti­fied copies issued in the past. This is the form that Oba­ma post­ed online, and that Factcheck and oth­ers exam­ined. This is also called a Cer­tifi­cate of Live Birth. Here’s an exam­ple. All three of these doc­u­ments are the same thing. They are COPIES of what appears in the offi­cial files. All are stamped with a sig­na­ture of the appro­pri­ate offi­cial, and sealed with a raised seal. Only the offi­cial orig­i­nal doc­u­ment filed with the Depart­ment of Health or Vital Records is a true birth cer­tifi­cate and that nev­er leaves the depart­ment. After all, if you have the orig­i­nal and lose it, how would you get anoth­er? Instead, the Reg­is­trar or oth­er des­ig­nat­ed offi­cial cer­ti­fies copies of the orig­i­nal. The cer­ti­fied copy is “pri­ma facie” evi­dence of a birth in the juris­dic­tion named. All of these doc­u­ments have enough infor­ma­tion on it to get a US Pass­port, a driver’s license, and a Social Secu­ri­ty card. (See our page onLegal Require­ments.) Some states’ COLBs have the LESS info on it than the Hawaii COLB. The sou­venir ver­sion that the hos­pi­tal gives out with foot­prints, etc. isn’t legal for these pur­pos­es. Send for a new birth cer­tifi­cate from your own state. Chances are it has less infor­ma­tion on it than Hawai­ian one. 2/3 of the states have gone to sim­i­lar short­er ver­sions. Many states no longer offer an option for the orig­i­nal longer for­mat. The State of Hawaii (as do all states) peri­od­i­cal­ly change lay­outs, bor­ders, data field, etc. to match fed­er­al guide­lines and ID theft con­cerns. That’s why the for­mer forms often don’t exist any­more. See the FOGBOW FORUM for dis­cus­sion. Claim: A birth cer­tifi­cate must have the hos­pi­tal and the doctor’s sig­na­ture on it. Only babies born in hos­pi­tals get birth cer­tifi­cates. Hos­pi­tal, doc­tor, etc. on a doc­u­ment are not need­ed to prove birth in Hawaii or any oth­er state in the US — that’s what the state does. They col­lect that info at the time, ver­i­fy what they need to, and keep the data for­ev­er. That’s what the proof of birth sys­tem is designed to do — pro­vide cer­ti­fied doc­u­ments that still pro­tect the pri­va­cy of indi­vid­u­als. The doc­u­ment must show date, time, place of birth (usu­al­ly the city or coun­ty), and name. It needs to have when the doc­u­ment was filed or accept­ed with the reg­is­trar. (Less than a week after the birth in Obama’s case.) Plus it must have the seal and sig­na­ture stamp of the reg­is­trar. The notion that only babies born in a hos­pi­tal have/had long-forms is ludi­crous. ALL babies born in Hawaii as well as oth­er states had com­plete birth records filed with the state, coun­ty, or city vital records office. Non-hos­pi­tal births had addi­tion­al paper­work sup­port­ing the record (wit­ness state­ments, inves­tiga­tive reports, etc), but the records were cer­tain­ly kept. All the fields on the form were as rel­e­vant for home births as they were for hos­pi­tal births. The infor­ma­tion required changed over the years, but births in the same year have the same info. A birth at home or on a beach wouldn’t need a spe­cial form; the exist­ing forms are designed for all births record­ed in a time­ly fash­ion. © the father, the moth­er, or, in the absence of the father and the inabil­i­ty of the moth­er, the per­son in charge of the premis­es where the birth occurred. (2) the State Agency shall by reg­u­la­tion deter­mine what evi­dence may be required to estab­lish the facts of birth. Hawaii has sev­er­al dif­fer­ent kinds of doc­u­ments that are con­sid­ered birth cer­tifi­cates. By far the most com­mon is the Cer­tifi­cate of Live Birth, dis­cussed above. There is also the Cer­tifi­cate of Still­birth for those hor­rif­ic tragedies. Hawaii cur­rent­ly also has a Delayed Cer­tifi­cate of Live Birth (for births reg­is­tered more than one year from the birth, effec­tive date 1981) and once had a Cer­tifi­cate of Hawai­ian Birth (see below). Most states (includ­ing Hawaii) also have a Cer­tifi­cate of For­eign Birth for for­eign adopt­ed chil­dren. Each of these Cer­tifi­cates is fair­ly rare, requires sig­nif­i­cant paper­work and inves­ti­ga­tion, and has its own Index. Because Pres­i­dent Obama’s “Date Filed” is only 4 days lat­er than the birth, it is a reg­u­lar birth cer­tifi­cate and he doesn’t qual­i­fy for a Cer­tifi­cate of Delayed Birth, or a Cer­tifi­cate of Hawai­ian Birth. Because his loca­tion of birth is Hon­olu­lu Hawaii, he doesn’t qual­i­fy for a Cer­tifi­cate of For­eign Birth. Claim: A lady last year was able get of her long form birth cer­tifi­cate and pro­vid­ed proof of it. A blog­ger born in Hawaii spoke direct­ly to the Depart­ment of Health to see if she could get he cer­ti­fied long form birth cer­tifi­cate. She got a non-cer­ti­fied copy of her own vital records. As the copy was not cer­ti­fied, it is not a birth cer­tifi­cate. The blog­ger also got a copy of her cer­ti­fied birth cer­tifi­cate with it, and showed it in the pic­tures. It looks just like Pres­i­dent Obama’s. NO ONE has post­ed a birth cer­tifi­cate from Hawaii pro­duced after 2001 that is sig­nif­i­cant­ly dif­fer­ent from the one Oba­ma post­ed. The only proof of birth in Hawaii doc­u­ment the state has issued from 2001 now is the Cer­ti­fi­ca­tion of Live Birth. All chil­dren born in that peri­od only ever GOT that doc­u­ment. Any­one who asked for a cer­ti­fied copy of their birth cer­tifi­cate in that time frame got a Cer­ti­fi­ca­tion of Live Birth. Pres­i­dent Oba­ma request­ed copies in 2007. If he asked for a copy today, he’d get what any­one else requests today. Added 6/17/2012: On April 27, 2011, Pres­i­dent Oba­ma released his long form birth cer­tifi­cate, obtained through a spe­cial request from the State of Hawaii Depart­ment of Pub­lic Health. This doc­u­ment was cer­ti­fied by the Reg­is­trar of Vital Records. Pres­i­dent Oba­ma also released the cor­re­spon­dence with the Direc­tor of the Depart­ment of Health which shows what he had to do to get this spe­cial doc­u­ment as Hawaii no longer issues cer­ti­fied copies of this doc­u­ment. Claim: The COLB just shows a baby was born. A doc­u­ment that just said a baby was born but pro­vid­ed no legal proof of birth would have no rea­son to exist. There is NO VALUE to such a cer­tifi­cate that didn’t also state where and when. There is no such cer­tifi­cate. This state­ment doesn’t mean a birth cer­tifi­cate has no val­ue at all, it means that a birth cer­tifi­cate on its own can’t be matched to an adult indi­vid­ual and thus can’t be used as a method of iden­ti­fi­ca­tion. But that doesn’t mean that the data on it is mean­ing­less — par­tic­u­lar­ly when the issu­ing agency inde­pen­dent­ly con­firms that the data on the cer­ti­fied paper match­es what’s in the actu­al vital record. The BC says that a birth occurred to those peo­ple, in that place, at that time, of a par­tic­u­lar gen­der and a spe­cif­ic name. It DOESN’T say that the per­son pre­sent­ing it is the same per­son as on the BC. That’s what a proof of iden­ti­ty does — it match­es the data to the indi­vid­ual. The entire OIG report is about doc­u­ment fraud by alter­ing, coun­ter­feit­ing, or obtain­ing birth cer­tifi­cates. It has noth­ing to do with any fraud relat­ed to the orig­i­nal birth record kept by the issu­ing agency unless the record is a delayed or out-of-hos­pi­tal birth. Since the Hawai­ian Dept. of Health has repeat­ed­ly (and under 2 admin­is­tra­tions) said that what appears on Obama’s BC is what appears in the record, and the birth took place in a hos­pi­tal less than a week before the birth was record­ed, those pro­ce­dur­al oppor­tu­ni­ties for fraud didn’t exist. Claim: The COLB isn’t even accept­ed for some uses in Hawaii. The State of Hawaii also once offered a Cer­tifi­cate of Hawai­ian Birth. It was a spe­cial doc­u­ment prov­ing native Hawai­ian her­itage. It isn’t the same thing as a COLB. Here’s an exam­ple. The Cer­tifi­cate of Hawai­ian Birth pro­gram was estab­lished in 1911, dur­ing the ter­ri­to­r­i­al era, to reg­is­ter a per­son born in Hawaii who was one year old or old­er and whose birth had not been pre­vi­ous­ly reg­is­tered in Hawaii. The Cer­tifi­cate of Hawai­ian Birth Pro­gram was ter­mi­nat­ed in 1972, dur­ing the state­hood era. Since then, births in the state that haven’t been reg­is­tered with­in one year and have no oth­er birth cer­tifi­cate now require the Cer­tifi­cate of Delayed Birth. The Hawai­ian Home Lands Program’s pur­pose is to enable native Hawai­ians to return to their lands. Eli­gi­bil­i­ty is lim­it­ed to Hawai­ians who can show 50% or more native Hawai­ian ances­try. In order to deter­mine who is eli­gi­ble, the DHHL requires appli­cants to doc­u­ment their ances­try, includ­ing proof of birth for direct ances­tors. The Birther claim arose because the DHHL did not update their web site when the DOH changed poli­cies and stopped issu­ing cer­ti­fied copies of orig­i­nal birth cer­tifi­cates. They have since updat­ed their site. Birth cer­tifi­cates (Cer­tifi­cates of Live Birth and Cer­ti­fi­ca­tions of Live Birth) and Cer­tifi­cates of Hawai­ian Birth are the pri­ma­ry doc­u­ments used to deter­mine native Hawai­ian qual­i­fi­ca­tion. The Depart­ment of Hawai­ian Home Lands accepts both Cer­tifi­cates of Live Birth (orig­i­nal birth cer­tifi­cate) and Cer­ti­fi­ca­tions of Live Birth because they are offi­cial gov­ern­ment records doc­u­ment­ing an individual’s birth. The Cer­tifi­cate of Live Birth gen­er­al­ly has more infor­ma­tion which is use­ful for genealog­i­cal pur­pos­es as com­pared to the Cer­ti­fi­ca­tion of Live Birth which is a com­put­er-gen­er­at­ed print­out that pro­vides spe­cif­ic details of a person’s birth. Although orig­i­nal birth cer­tifi­cates (Cer­tifi­cates of Live Birth) are pre­ferred for their greater detail, the State Depart­ment of Health (DOH) no longer issues Cer­tifi­cates of Live Birth. When a request is made for a copy of a birth cer­tifi­cate, the DOH issues a Cer­ti­fi­ca­tion of Live Birth. The source of this rumor came from out-of-date instruc­tions on the Depart­ment of Hawai­ian Home Lands web site. The site has since been updat­ed. Claim: Hawaii had a law that you could get a Hawai­ian COLB even if you weren’t born in Hawaii. Hawai­ian laws are sim­i­lar to oth­er states and fol­low fed­er­al guide­lines. The CCP has mis­read applic­a­ble statutes. Joshua Wisch, Spe­cial Assis­tant to the state’s Attor­ney Gen­er­al, said in a state­ment Tues­day: “Regard­ing the lat­est alle­ga­tions from a sher­iff in Ari­zona, they are untrue, mis­in­formed, and mis­con­strue Hawaii law. … Not only are Hawaii’s vital records some of the best man­aged, but they also have some of the strongest restric­tions on access to pre­vent iden­ti­ty theft and fraud. See our Spe­cial Report on the Arpaio Inves­ti­ga­tion for more. Claim: A COLB doesn’t have the same infor­ma­tion as a birth cer­tifi­cate. The only dif­fer­ences between the two for­mats are that one lists whether the child was part of a mul­ti­ple birth, the doctor’s sig­na­ture, the hos­pi­tal name and address, age/occupation/birthplace of the par­ents, the sig­na­ture of a par­ent, dates relat­ed to pro­cess­ing, and the sig­na­ture of the Reg­is­trar. NONE of that is need­ed to prove loca­tion of birth. Claim: Any­one could get a COLB, they gave them away like can­dy. The COLB *IS* the stan­dard birth cer­tifi­cate and requires a great deal of ver­i­fi­ca­tion. Hawaii ONLY issues COLBs any­more and has done so since the ear­ly 2000s. Any­one who is born these days gets one that looks like Obama’s, and any­one who asks for a cer­ti­fied copy of their BC also gets a COLB. There IS no oth­er cur­rent form. You can’t get a birth cer­tifi­cate or COLB just by show­ing up with a baby. If the child is born out­side a hos­pi­tal, there’s offi­cial paper­work and a depart­men­tal inves­ti­ga­tion to estab­lish the facts of birth. Since Obama’s was filed less than a week after his birth and isn’t marked as “amend­ed”, it’s high­ly unlike­ly that he was born out­side the hos­pi­tal.